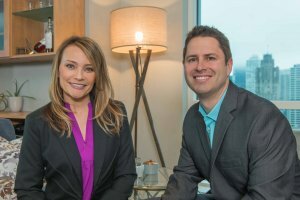 My name is Blake McCreight and my beautiful wife Wendy and I work together to help you with your needs. We’ve been buying real estate for over a decade. That means we’ve helped a lot of people over the last 10 years. Sometimes people find themselves in a tight spot with a house that they do not want to keep. That’s where we’ve been able to help. Because we can purchase a house quickly. Being able to purchase real estate quickly has enabled us to help over 300 families. We are proud of our track record of helping so many people. Marketing, marketing, marketing. We talk to sellers like they are a friend who needs help because that’s who we believe they are. Our marketing machine hums. And you can get on our VIP list so that you are notified when a new deal comes to us. We find amazing deals all around. We have been successful at snatching up good deals before other investors even hear about them. Foreclosures. Inherited houses. Handyman specials. Discounted homes. Distressed properties. We find all types. We have the budget to spend on attracting the best deals. We have worked at revving our marketing engine so that it works consistently and amazingly. We’ve tested and tested and tested. And in the end, you are the one who benefits because we pass along the discounts to our VIP list. If you are a real estate investor who is looking for more rental property, then you should get on our list. Many of the properties that we get are substantially below market value even after repairs. We’ll even search for properties that meet the criteria that you give us. Then you get leads in your inbox. It’s that easy. Most of our deals are grabbed by real estate investors and landlords. But if you want to find a discounted home to live in, we will allow you to also get on our list. Make sure that you have all cash available or that you have been pre-qualified at a local bank. We move fast. The people who sell us their real estate like to move fast. Real estate investors move fast. So you have to be ready and willing to move fast in order to secure a great deal. In the end, we’ve gotten to where we are today because we’ve focused on becoming really good at finding great deals, marketing, and passing those deals off to people like you at a huge discount. That’s what we do. You can rest assured that we are a great company to work with… and we’re just real people just like you.